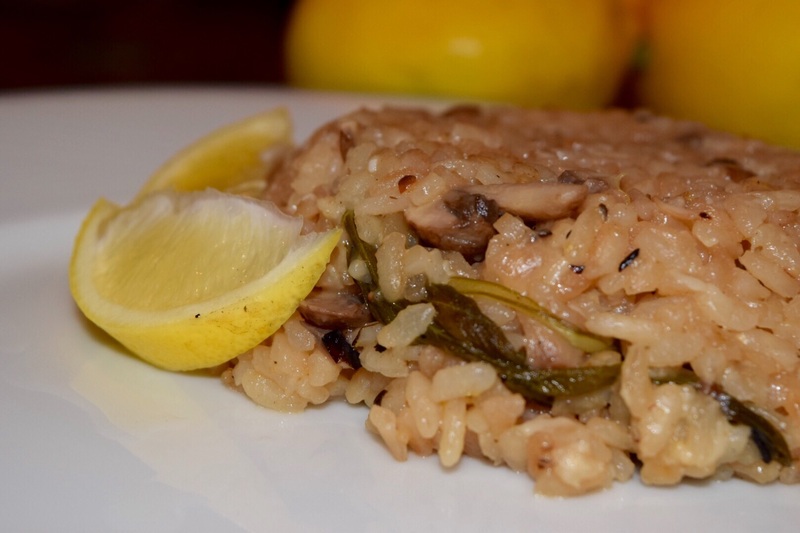 Risotto with Meyer Lemons – T.W.O. Published on January 8, 2015 December 23, 2014 by T.W.O. 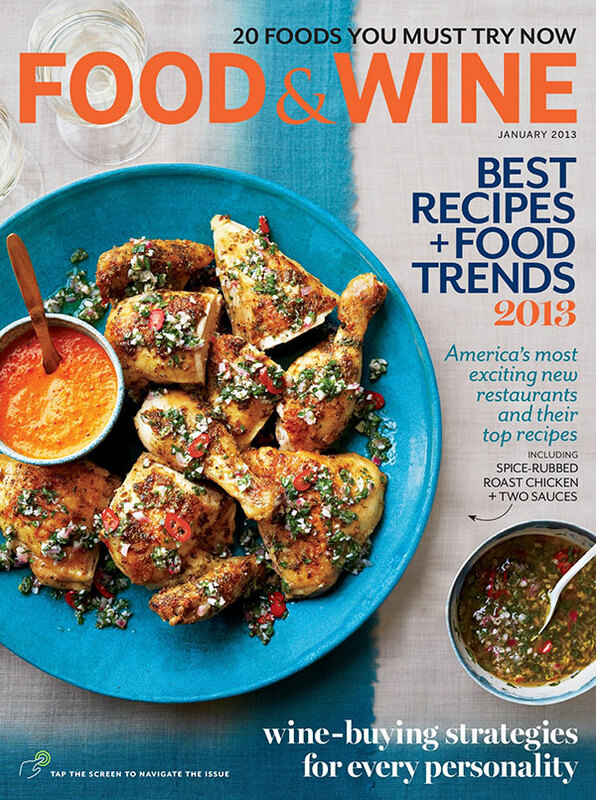 With the holidays being over, cooking sounds like the last thing to do. Well not for T.W.O.! 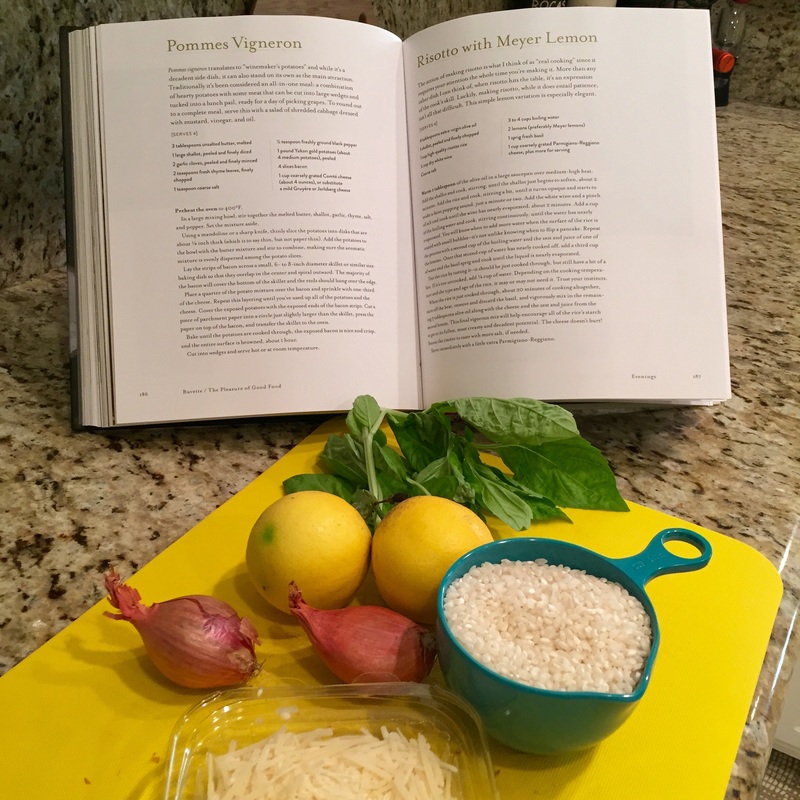 We are excited to share recipes with you and this year we are kicking off the Recipe of the Day with Meyer Lemon Risotto. A co-worker gifted this fabulous Buvette cookbook during a Christmas exchange. It is one of her favorite restaurants in New York (also in Paris) and we can’t wait to go to Buvette after making this fabulous dish. T.W.O. added mushrooms to our dish to step it up. Flavor not needed though if you don’t like mushrooms. Enjoy! 1. Warm 1 Tablespoon of olive oil in a large skillet over medium high-heat. Add the shallot and cook for 2 minutes. 4. Add a cup of boiling water and cook, stirring continuously, until the water has nearly evaporated. 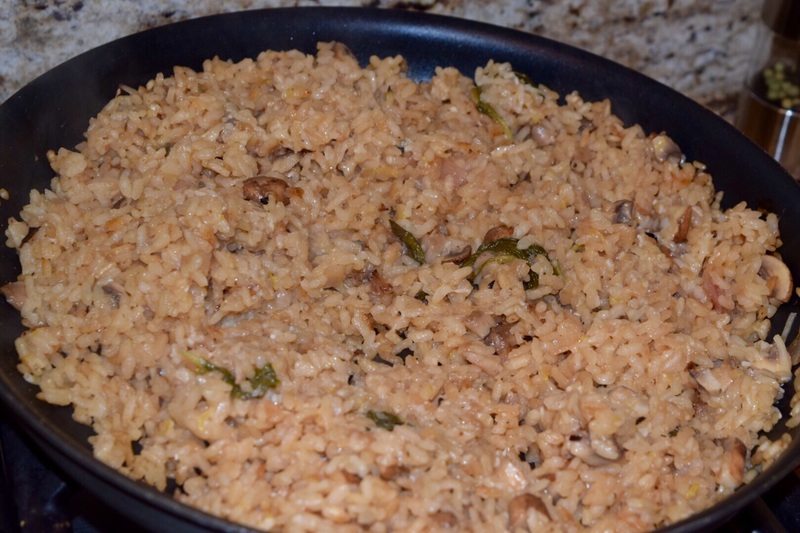 Add more water when the surface of the rice is coated with small bubbles. 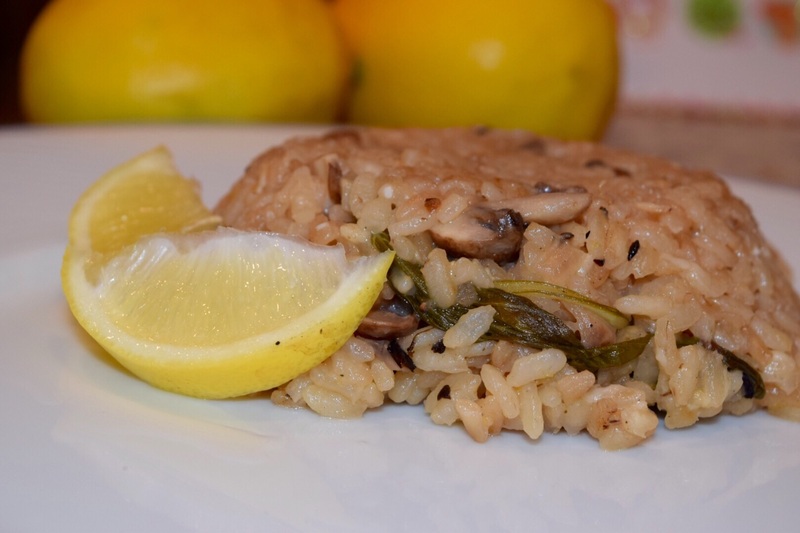 Repeat with the second cup of water and add the lemon zest and mushrooms. 5. Add a third cup of water and the basil sprig and cook until the liquid is almost gone. Test the rice and make sure it is cooked. If not, add some more water. This process should take about 20 minutes. 6. 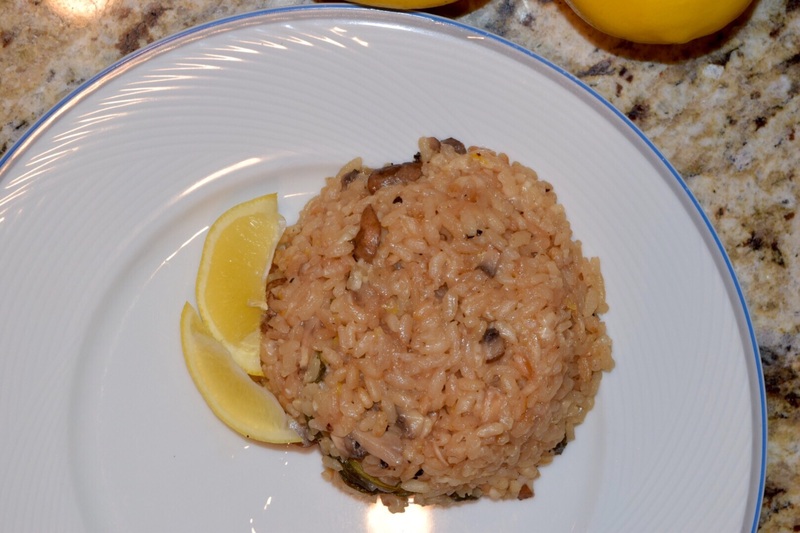 Once the rice is cooked, remove from heat and add the cheese. 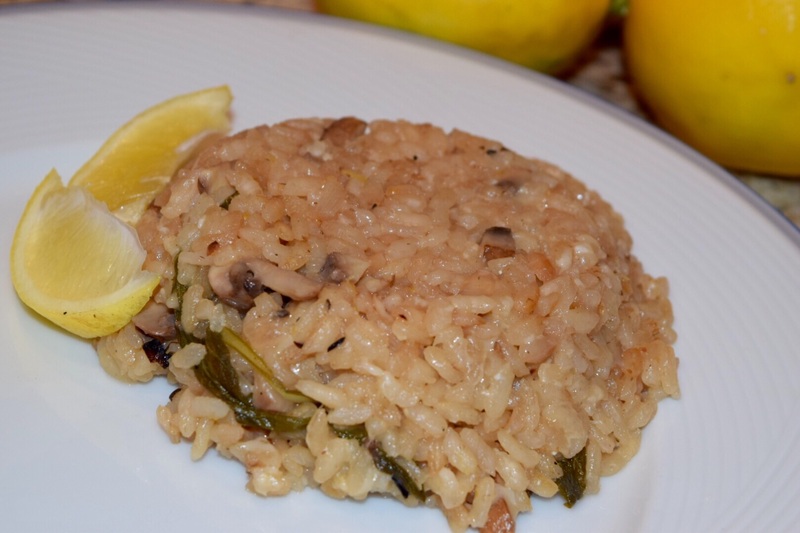 Season the risotto with salt and pepper and serve!